Life is a problem strewn arena. Challenges await us and there were times when we had hardships to surpass and unfortunately we failed. Some got lost in their journeys in search of themselves. Many stopped believing and people tend to give up because hopes and dreams seem elusive. But for all the difficulties, life still has a lot of wonderful things to offer. We just have to open our hearts and minds and learn to accept failures and that the trials and bad things we had were just part of our fight for existence. Be optimistic and believe that you can accomplish things and achieve your goals with flying colors. Situations may be hard at first but with hard work and best attitude you can do more. Just seek for motivation and not depression. Keep the positive qualities in you that can attract more and better opportunities. If you have loved ones that you know needing a dose of enlightenment then this read might help. Uplifting Quotes and Messages for Your Loved Ones is great selection to share with them. "When you focus on problems, you’ll have more problems. When you focus on possibilities, you'll have more opportunities." But with Hardwork, there are no limits. "The ones who say you "You Can't" and "You Won't"
are probably the ones scared that "You Will". 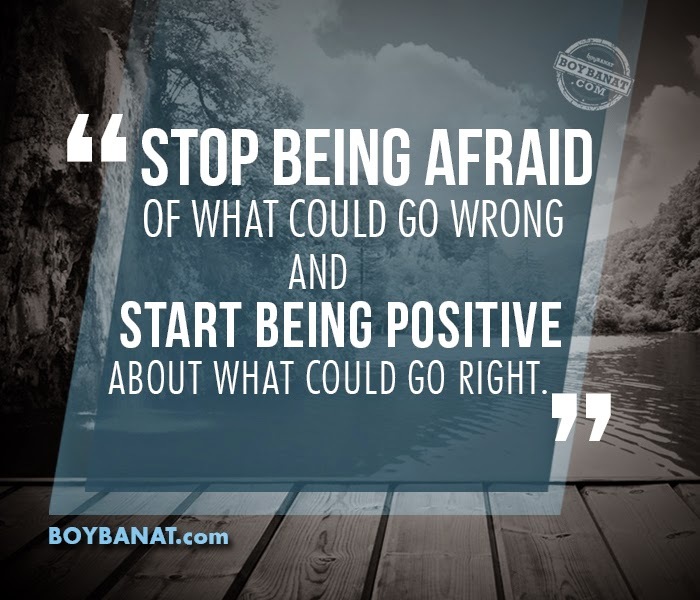 and start being positive about what could go Right". "Always END the DAY with a Positive Thought. Tomorrow's a fresh OPPORTUNITY to make it BETTER." "We have to get hurt in order to know. Because most of life's lesson are taught through pain." Let's help to motivate more readers by sharing you own collections. 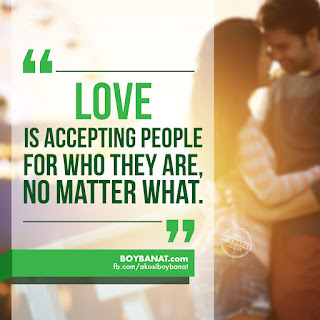 We will be glad to have them featured here at www.boybanat.com. 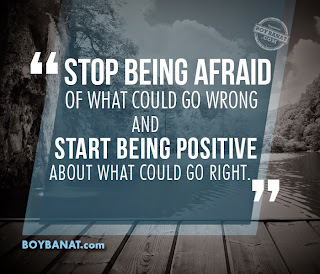 Feel free to Contact Us or you may also visit Boy Banat Official Fanpage on Facebook.